Sadly, the colder weather is upon us. Most boats are out of the water. Some members will be continuing their sailing adventures in warmer climates. 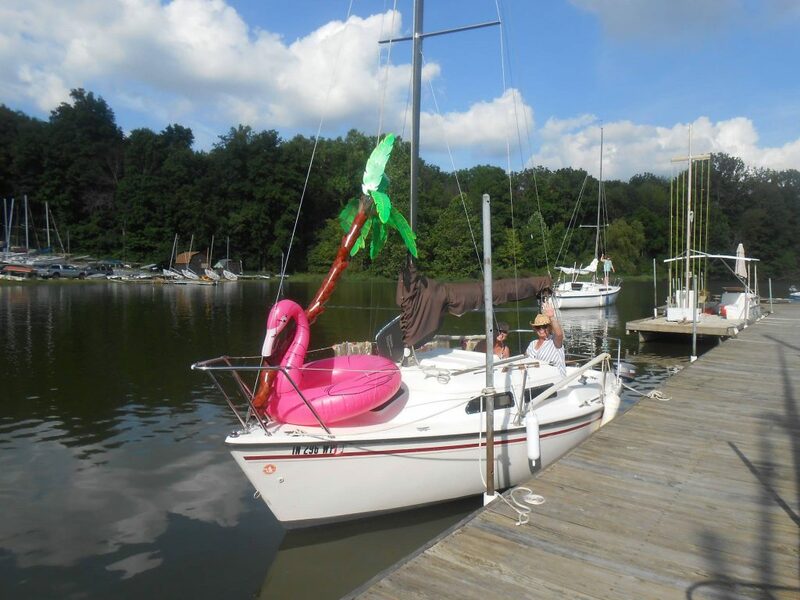 The rest of us are a bit envious, but we wish you safe and happy sailing. This is a good time to reflect on the season behind us and start planning for next year. All will agree 2016 was a very good year for ECSC. We had the benefit of a great leadership team and generous volunteer support. Social events were great. The racing and education programs enjoyed high levels of participation with many new sailors and racers. Boat trailer parking improved with the removal of several derelict boats. The web site is better organized with a new look and feel. There are many more. 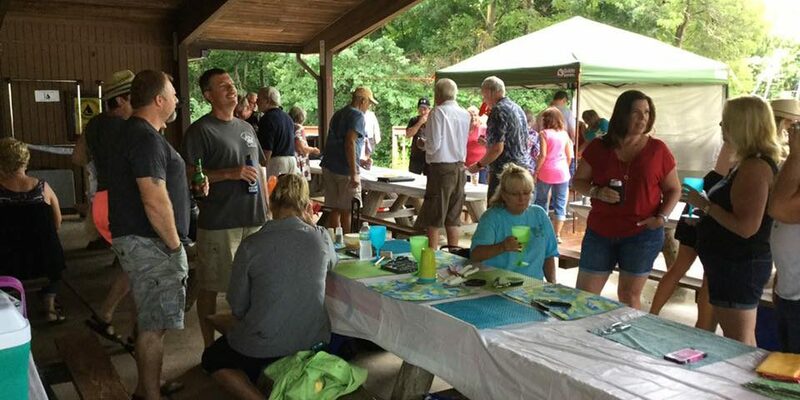 Please give a big “thank you” to the 2016 team and volunteers for the many benefits we enjoyed as members of ECSC. The 2017 team will work hard to make next year a success next year. We are already working to complete 2017 budgets in December. We will work to preserve and improve on the 2016 successes. We want to continue making ECSC a fun and safe place for sailors of all ages. We will also work to have an adequate cash reserve for major capital replacement projects. Past Commodores have projected the timing of major capital replacements. Some of those replacements may be drawing near. We have heard concerns about the condition of the boat ramp. Dock board replacement may be accelerating soon due to general age. Lighting maintenance and lighting improvements can further enhance security. The Board and our new Grounds Committee will be carefully reviewing the capital plan. Recent Bylaw changes will have their first impacts next year. The most significant change clarifies responsibility for buildings and grounds that are not part of the Harbormaster responsibilities. ECSC had an on site caretaker for many years. We do not have a caretaker now, and there are significant challenges associated with having another. A review of the Bylaws revealed a need to more clearly establish responsibilities for buildings and grounds. Your Board added an new Grounds Committee, chaired by the Vice Commodore. The detailed responsibilities are available in the Bylaws on our improved web site. We hope to improve online access and items to our Ships Store in 2017. Many sailing clubs are starting to use online services that will put our logo on many more items than we can keep in our inventory. Les Miller has agreed to lead this worthy initiative. As we close out our 2016 year, we have much to celebrate and be thankful for. 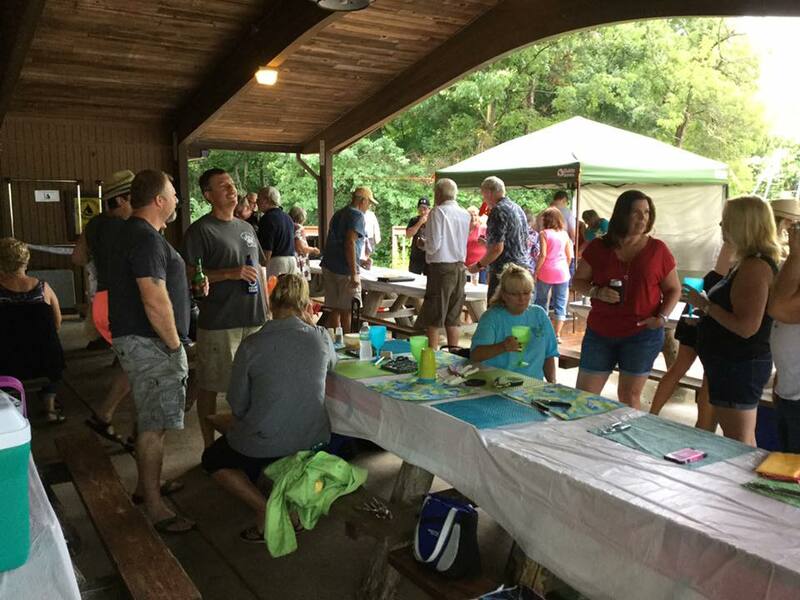 We had very successful events this past summer and a big shout out to Nick Mates for a well-planned and implemented Final Bash! The mild weather allowed for several to enjoy sailing to Rick’s and enjoy the balcony and great view! I am already working on the 2017 calendar and look forward to some “repeat offenders” of Hosts and Hostesses! Please let me know if you wish to take on the responsibility again for the upcoming sailing season….it will be here before you know it! I will be looking for assistance in the spring to clean, paint, and organize the kitchen and social shed. This is another great way to earn your work credit! Hello Eagle Creekers, The first week of December is when we will be counting boats for Winter storage. Please contact myself or Dennis Robertson if you will be removing your boat for the Winter after the first week. Otherwise you will be charged storage fees. Concerning storage of your boat at our club, it is a very good idea to come out and check your boat especially after a rain or snow to see if your tarp cover is holding up. The Club is not responsible for your boat and it may save you money to check it. Of course, if we as the Harbormasters see any problems we will try to contact the affected member. With that said, if you are at the club and you see any problems with other members boat, please take down their “current” member number and contact one of the Harbormasters. The upper trailer lot will likely be expanded this spring. My idea is to expand to the West end and South toward the main road. We will get an estimate for having the old meadow restored to an easily mowed parking area. The trailer parking will be available in April now that the Parks Department has added the trailer storage area to our lease. Thanks to all the members who assisted in Dock board replacement this year, future dock board replacement should be at a minimum for next year. I do know there are several boards on D dock and on A dock still in need of repair Dennis and I are going to submit a bid to replace all the boards and stringers on L dock this coming Spring. The original construction was very frugal and we have been paying for it as that dock ages. It will be up to the board to allocate club funds for this upgrade and up to our great group of member-volunteers to do the work in one weekend. Regarding our Slips and the slip waiting list. We put over twenty boats into slips this year with about fifteen into permanent slips and about five into subleases. Remember to contact the Harbormaster Department before subleasing. Subleases must go through us or you may lose your slip entirely. The reason for this is that there is a “list” and all allocations of slips are based on your seniority (shown by your member number). At this point we have 7 or 8 new members waiting for a slip. If at some point you want a new slip then point that out in your membership document. Slips will be offered to members that are available and you can request what ever you want but we can only offer slips that become available. 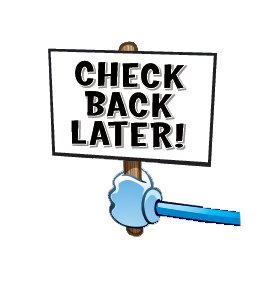 Timely responses to offers will be accepted, if you don’t respond to an offer you may be stuck in the same slip. The club slip list is going to be run like a real marina from now on so if you have any complaints please contact the Harbormaster Department or the Commodore. Welcome to new members: Mike and Jill Overton of Indianapolis. They will be sailing a Compac 19 as they will become co-owners with Jane Schmidt. Kevin and Mary Crothers of Indianapolis sailing a Catalina 22. We’ve had a very active year at ECSC with 26 new members joining since 1/1/16, bringing our present total membership # to 255. 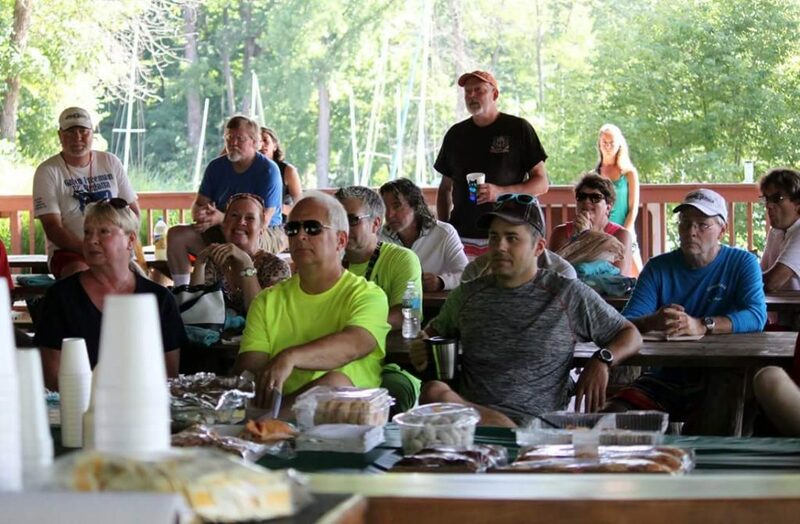 This total breaks down as follows: 168-Family; 62-Regular ; 16-Social; 4-Lake ; 4-Lifetime; 1-Race Fellow During 2016, Christy has conducted 3 different New Member Orientation sessions as well as many individual tours of the club site for prospective member. Jane and Christy will continue to head up the membership activities in 2017 and will continue the above activities as well as the following: annual mailing of dues statements, entering all the incoming data into the data base, sending out new decals and keys, compiling data for the harbormaster to use in the assignment of slips, pulling data together for the printing of the membership booklet, preparing lists for committee heads to use in tracking work credits throughout the year and compiling the list needed by the harbormaster to count boats at the end of the season. As this sailing year winds down, we look forward to the next sailing season. Late in January, you will be receiving your 2017 annual dues statement, wet slip form and winter storage form. Due date for the return of those, along your check for payment, will be February 28, 2017. Please take this chance to notify us of any change in mailing and/or email addresses so that your renewal forms will reach you in a timely manner. ecsc_membership@yahoo.com. Feel free to call 317-575-9837 with any questions regarding membership. Hello ECSC Members, I have been elected to the Board of Directors and have accepted (read – arm twisted) heading up the Ship’s Store. I need to learn more about its current operations (my predecessor is giving me good info) before making changes to its operation; nevertheless, Larry has talked to me about the possibility of our outsourcing the process as many other sailing clubs do. Nothing is confirmed; I need to do some more exploring. Keep your eyes on this bat channel. If anyone has thoughts for the Store feel free to email me – lmilleriyps@gmail.com or talk to me at the club. For those of you that don’t know me, I first sailed on a family owned Penguin (11’ wooden boat) around 10 years old. 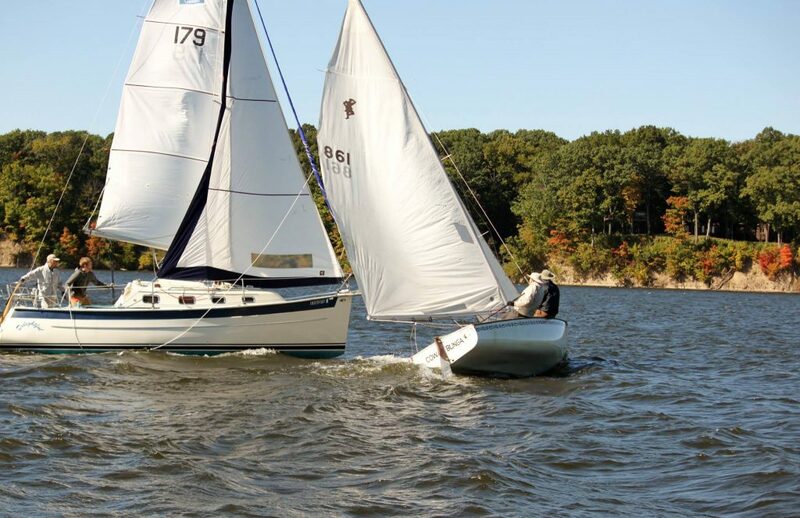 After that, I sailed a Hobie 16’, Jim Lloyd’s Racy Lady (I witnessed the wooden mast breaking that is still celebrated with our club’s broken mast award.) and several larger boats on Lake Michigan. This my second year with the club; I appreciate the way everyone (except Kenny, of course …haha) has made my wife, Amy, and me feel right at home. Hello ECSC members, followers and wanna-be’s, Somehow I managed to convince Geoff Endris to switch roles with me at the club for the upcoming season. I thought I pulled one over on him…..until I started learning about Mailchimp, and wordpress, and FTP, and …well, you get the idea. So, as I prepare the November newsletter, I realize two very important things: 1) I have a lot to learn, and 2) ECSC owes Geoff Endris a BIG THANK YOU for the work he has done over the previous couple of years to enhance our club’s profile and run the publicity department. As for my plans for publicity, I would like to generate more media content on both our Facebook Page and our website. Our newsletter articles will also contain more media. So please forward any “appropriate” media to me at publicity@ecsail.org . Also remember that our website should be your one stop shop for any and all information about our club. As Publicity chair, I am responsible for sending out club email blasts and generally communicating with our membership. If you are not getting emails from the club, let me know at the above email, and I will try to rectify the situation.